Fingerprint scanners aren’t just reserved for the very top-tier of smartphones these days, with even many budget phones packing the tech these days. Technology has moved on a lot from the early days too, becoming faster and more accurate in their readings. With all that in mind, let’s take a look at how the latest fingerprint scanners work and what the differences are. Optical fingerprint scanners are the oldest method of capturing and comparing fingerprints. As the name suggests, this technique relies on capturing an optical image, essentially a photograph, and using algorithms to detect unique patterns on the surface, such as ridges or unique marks, by analyzing the lightest and darkest areas of the image. 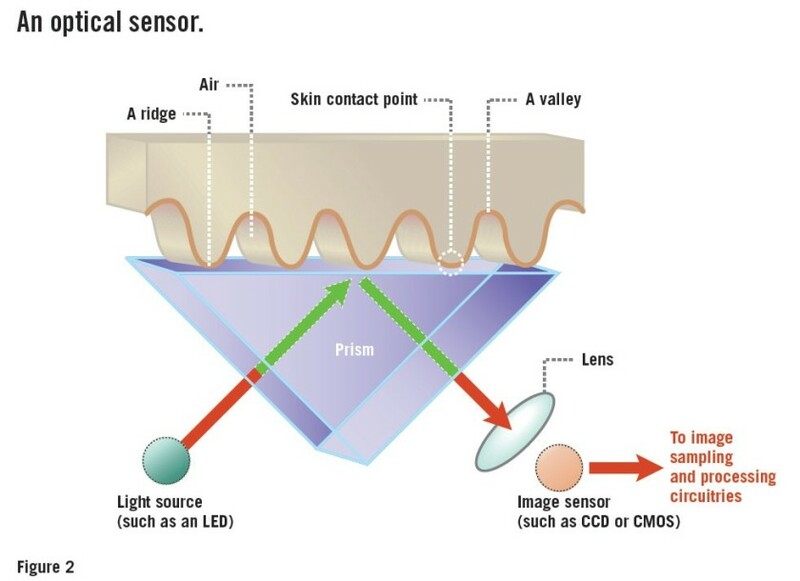 Just like smartphone cameras, these sensors can have a finite resolution, and the higher the resolution, the finer details the sensor can discern about your finger, increasing the level of security. However, these sensors capture much higher contrast images than a regular camera. These scanners typically have a very high number of diodes per inch to capture these details up close. Of course, it’s very dark when your finger is placed over the scanner, so optical scanners also incorporate arrays of LEDs as a flash to light up the picture come scan time. Such a design is a bit bulky for a smartphone though, where slim form factors are important. The major drawback with optical scanners is that they aren’t difficult to fool. As the technology is only capturing a 2D picture, prosthetics and even other pictures of good enough quality can be used to fool this particular design. This type of scanners really isn’t secure enough to trust your most sensitive details to. It’s also slowly being phased out these days. Smartphone fingerprint scanners come in many different shapes and sizes today, but you won’t find any optical scanners here. Much like the early days of the resistive touchscreen, you won’t find optical scanners used in anything but the most cost-effective pieces of hardware these days. With increasing demand for tougher security, smartphones have unanimously adopted superior capacitive scanners, and the falling cost of technology has made capacitive alternatives viable for mid-range products too. However, with the move towards bezel less displays, smaller optical modules may make a comeback, as they can be embedded underneath the display glass and only require a small area footprint. 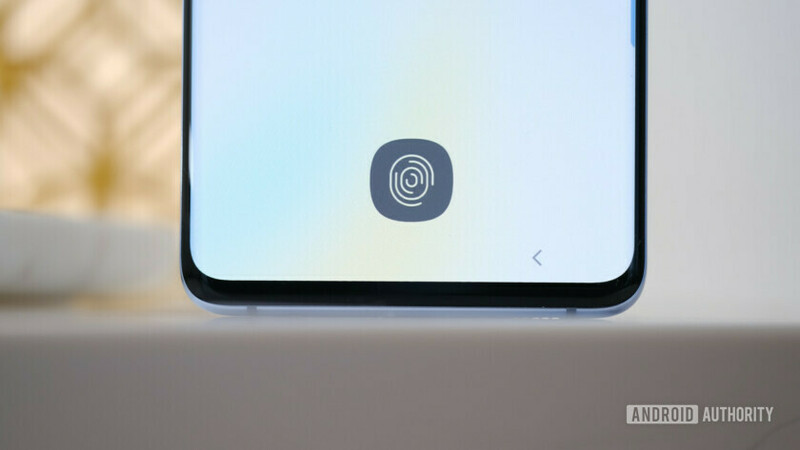 Synaptics, which develops a range of scanner for smartphones and other products, unveiled its Natural ID FS9100 optical fingerprint sensor with this in mind. This module can operate successfully under 1mm of glass and with wet fingers, something that messes with capacitive alternatives. So don’t write off optical scanners just yet. The most commonly found type of fingerprint scanner used today is the capacitive scanner. You’ll find this type of scanner inside most smartphones these days, as it’s the most secure. Again the name gives away the core component, providing you’re familiar with a little electronics, the capacitor. Instead of creating a traditional image of a fingerprint, capacitive fingerprint scanners use arrays tiny capacitor circuits to collect data about a fingerprint. As capacitors can store electrical charge, connecting them up to conductive plates on the surface of the scanner allows them to be used to track the details of a fingerprint. The charge stored in the capacitor will be changed slightly when a finger’s ridge is placed over the conductive plates, while an air gap will leave the charge at the capacitor relatively unchanged. An op-amp integrator circuit is used to track these changes, which can then be recorded by an analogue-to-digital converter. The theory and architecture behind a capacitive fingerprint scanning chip. Once captured, this digital data can be analyzed to look for distinctive and unique fingerprint attributes, which can be saved for comparison at a later date. What is particularly smart about this design is that it is much tougher to fool than an optical scanner. The results can’t be replicated with an image and is incredibly tough to fool with some sort of prosthetic, as different materials will record slightly different changes in charge at the capacitor. The only real security risks come from either hardware or software hacking. Creating a large enough array of these capacitors, typically hundreds if not thousands in a single scanner, allows for a highly detailed image of the ridges and valleys of a fingerprint to be created from nothing more than electrical signals. Just like the optical scanner, more capacitors results in a higher resolution scanner, increasing the level of security, up to a certain point. Due to the number larger number of components in the detection circuit, capacitive scanners had previously been quite pricey. Some early implementations attempted to cut the number of capacitors needed by using “swipe” scanners, which would collect data from a smaller number of capacitor components by quickly refreshing the results as a finger is pulled over the sensor. As many consumers complained at the time, this method was very finicky and often required several attempts to scan the result correctly. Fortunately, these days, the simple press and hold design is far more common. You can do more than just read fingerprints with these scanners, newer models sport gesture and swipe functionality too. These can be used as soft button support to act as navigation keys, force sensing capabilities, or as a way to interact with other UI elements. A number of higher-end smartphones support a wider variety of swipe and navigation features using their fingerprint scanners, and this technology will likely continue to trickle down to lower price points. The latest fingerprint scanning technology to enter the smartphone space is an ultrasonic sensor, which was first announced to be inside the Le Max Pro smartphone. Qualcomm and its Sense ID technology are also a major part of the design in this particular phone. To actually capture the details of a fingerprint, the hardware consists of both an ultrasonic transmitter and a receiver. An ultrasonic pulse is transmitted against the finger that is placed over the scanner. Some of this pulse is absorbed and some of it is bounced back to the sensor, depending upon the ridges, pores and other details that are unique to each fingerprint. There isn’t a microphone listening out for these returning signals, instead, a sensor that can detect mechanical stress is used to calculate the intensity of the returning ultrasonic pulse at different points on the scanner. Scanning for longer periods of time allows for additional depth data to be captured, resulting in a highly detailed 3D reproduction of the scanned fingerprint. The 3D nature of this capture technique makes it an even more secure alternative to capacitive scanners. TIn December 2018, Qualcomm announced its 3D ultrasonic in-display fingerprint sensor and this been adopted inside Samsung’s flagship Galaxy S10 and Galaxy S10 Plus. The drawback is that ultrasonic is not as snappy as other scanners yet, partly due to the reasons mentioned above. Ultrasonic technology also doesn’t plan nicely with some screen protectors, which limit the ability for the scanner to read fingerprints correctly. On the plus side, bezels are thinner than ever due to being able to hide the scanner under the displace. Ultrasonic fingerprint scanners aren’t the only option if you want to hide the sensor in the display. Optical-capacitive fingerprint scanners are already being used for this purpose too. Ultrasonic scanner hides under the display, meaning that the waves have to travel through the display’s backplane, glass, and protective cover before reaching your finger. Qualcomm’s ultrasonic technology works through glass that’s up to 800 microns thick. This is why adding extra layers, such as a screen protector, can prevent the technology from working correctly. The nice thing about this method is that the sensor can be moved around by the manufacturer and doesn’t require any special display production techniques. Other than ensuring the panel is thin enough to work. In-display scanners like those inside the OnePlus 6T and Huawei Mate 20 Pro are optical not ultrasonic. In-display optical-capacitive scanners, such as the early versions developed by Synaptics, are also be hidden under the display. However, the optical part requires line-of-sight in order to shine the light up to your finger. This technology only works with OLED displays, where there are gaps in the backplane. This idea is a little more secure than a basic optical scanner, as a capacitive measurement is used to detect when a real finger is pressed up next to the screen. In addition, it’s also possible to scale up the scanner size, offering a much wider area in which to detect your fingerprint. While most fingerprint scanners are based on very similar hardware principles, additional components and software can also play a major part in differentiating how products perform and what features are available to consumers. Accompanying the physical scanner is a dedicated IC that deals with interpreting the scanned data and transmitting this in a useful form to your smartphone’s main processor. Different manufacturers use slightly different algorithms to identify key fingerprint characteristics, which can vary in speed and accuracy. Typically these algorithms look for where ridges and lines end, or where a ridge splits in two. Collectively, these and other distinctive features are called minutiae. If a scanned fingerprint matches several of these minutiae then it will be considered a match. Rather than comparing the whole fingerprint each time, comparing minutiae reduces the amount of processing power required to identify each fingerprint, helps avoid errors if the scanned fingerprint is smudged, and also allows the finger to placed off-center or be identified with only a partial print. ARM ARM TrustZone is used to keep biometric and cryptographic data secure from the Rich OS. Of course, this information needs to be kept secure on your device and saved well away from code that could compromise it. Rather than uploading this user data online, ARM processors can keep this information securely on the physical chip using its Trusted Execution Environment (TEE) based TrustZone technology. This secure area is also used for other cryptographic processes and to communicate directly with secure hardware platforms, such as a fingerprint scanner, to prevent any software snooping. Approved pieces of none personal information, such as a password key, can only be accessed by applications using the TEE client APIs. Fido Alliance How FIDO login works without sending any personally identifiable information. Qualcomm’s take on this is built into its Secure MSM architecture while Apple talks this up as the “Secure Enclave”, but it is all based on the same principle of keeping this secure data on a separate part of the processor that cannot be accessed by apps operating in the regular operating system environment. 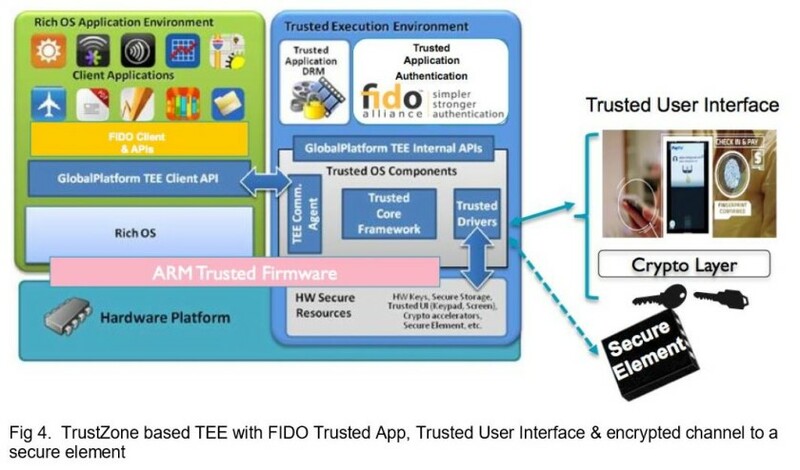 The FIDO (Fast IDentity Online) Alliance has developed strong cryptographic protocols that use these protected hardware zones to enable password-less authentication handshakes between hardware and services. So you can log into a website or online shop using your fingerprint without your unique data ever having to leave your smartphone. This is accomplished by passing digital keys rather than biometric data to servers. Fingerprint scanners have become quite a secure alternative to remembering countless user-names and passwords, and the further roll-out of secure mobile payment systems means that these scanners are likely to become a more common and crucial security tool in the future. Ultrasonic fingerprint scanners: how do they work?